Destination Yarns Souvenir is a squishy 4-ply dk weight yarn available in a range of colorways all inspired by travel. Made from 100% superwash Merino wool, each skein is lovingly hand dyed in Cleveland, Ohio. A versatile weight yarn that is a great option for garments, cold weather accessories, and all things baby. 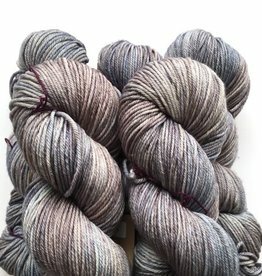 Because of the hand dyed nature of this yarn, skeins will vary slightly in color.